It's not every day that the death of a cow warrants mention -- but the tale of heroism of one brave bovine who recently passed on will no doubt live on for years to come. 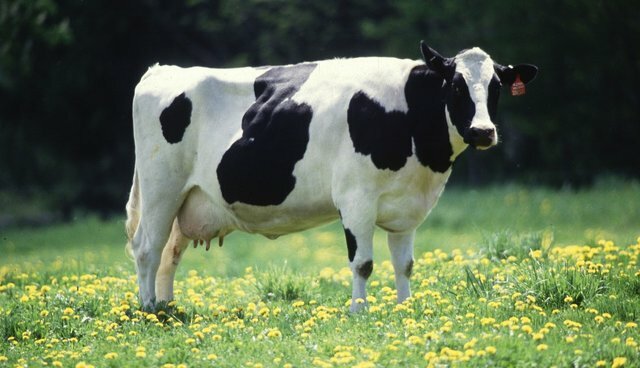 A decade ago, on a dairy farm in New Zealand, an otherwise unremarkable cow, known simply as Cow 569, gained international attention after saving her farmer from being swept away in a flood, earning her a the distinction of hero. On a particularly rainy night near her farm in Woodville, Kim Riley ventured out to make sure her cattle were safe in the storm. When she noticed that some cow had been spooked into entering the swollen river that runs through the property, she hurried ahead of them in the water to try and head them off to higher ground. But before she knew it, Kim found that she was the one who needed help. "Then I realized that I was floating," she tells the Fairfax NZ News. "It was just suddenly that the ground was not there anymore." For more than 30 minutes, Kim and cows struggled to find their footing in the floodwater. Downstream, the weakened farmer noticed the cattle -- who she says are fantastic swimmers -- heading towards an accessible section of dry land on the shore. As she struggled to do the same, Kim noticed an animal, Cow 569, heading in her direction. "I looked back and saw one of the last cows bearing down on me. As she went by I threw my arm over her neck, just sort of grabbed her mane," says Kim. "It was so nice feeling her warm body... I just laid back and relaxed... take me on home." By the time farmer and cow made it safely out of the river, Kim was was exhausted that she couldn't stand. It wasn't long before word of Kim's close call and remarkable rescue spread. After a report on her ordeal was shared on the BBC, the farmer was contacted by a children's book publisher inquiring if she would like to transform her tale into illustrated book. In the years that followed, Kim published two stories about Cow 529, further solidifying her "hero" status around the globe. Kim says the cow lived something of a pampered life from then on, living to the ripe age of 17 (that's about 119 in cow years). Last November, after nearly two decades of loyal service as a dairy cow and occasional life-saver, Cow 569 fell ill. Now, Kim says, the brave bovine has passed away. "All good things come to an end," says the farmer, who owes her life to a cow. "She was always number 569 to us, we never considered giving her another name, but she was more than a number. She was special."